Astircare. 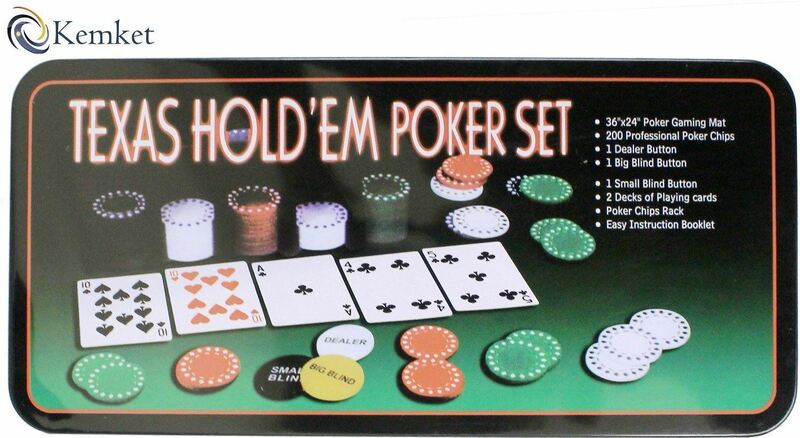 Texas Hold'em Poker Game Set Gaming Mat 200 Chips 2 Decks Playing Cards Tin Box And Acrylic Chip Set 100pcs. 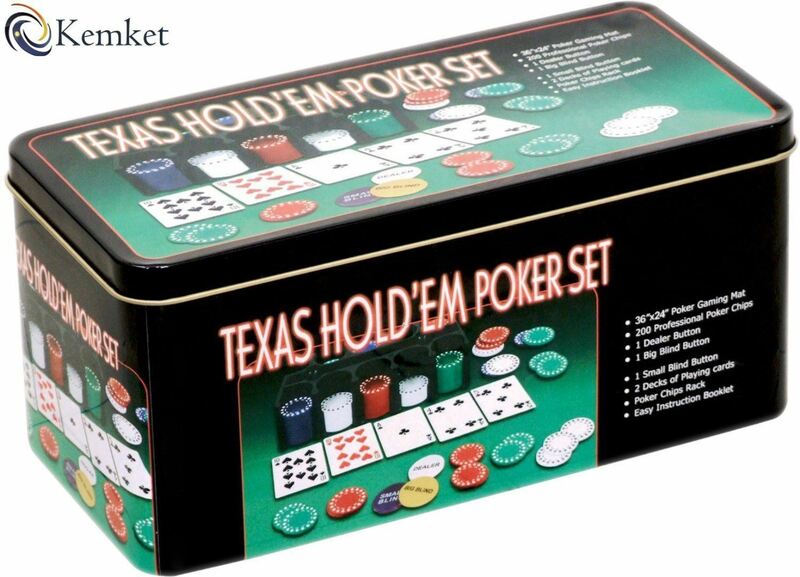 Texas Hold'em Poker Game Set Gaming Mat 200 Chips 2 Decks Playing Cards Tin Box And Acrylic Chip Set 100pcs. 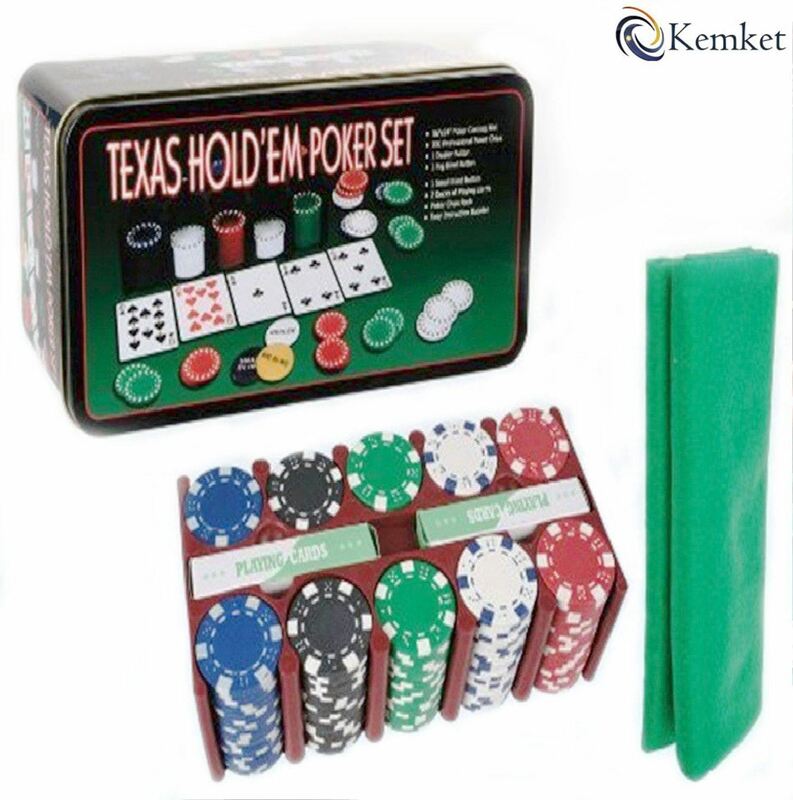 Texas Hold'em Poker Game Set:- Kemket Texas Hold 'Em Poker Set:- This Texas Hold 'Em Poker Set has everything you need for a classic game of Texas hold 'em, packed away inside a tin box. 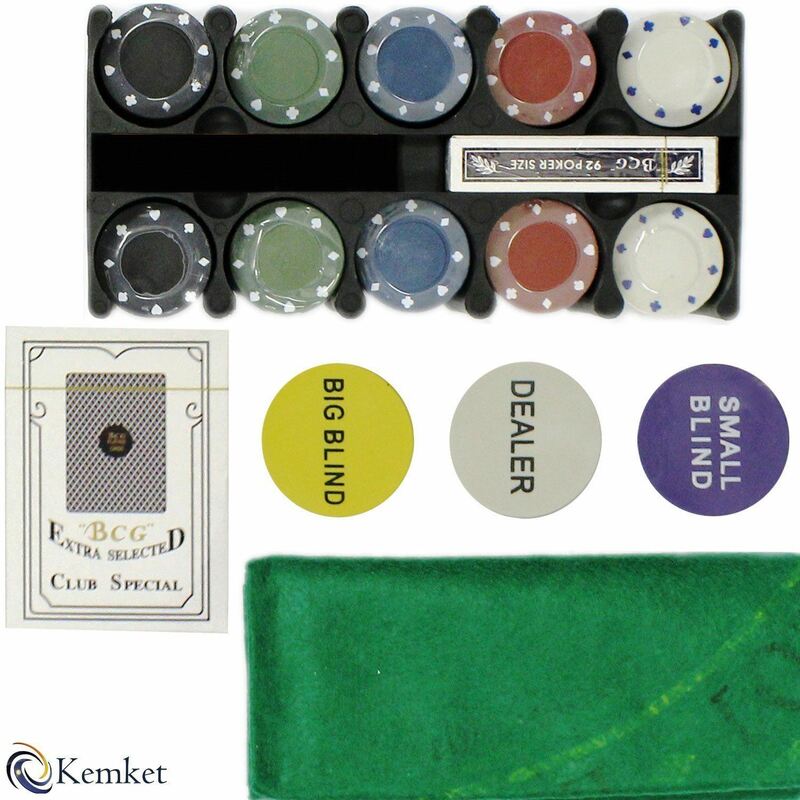 The set includes a token for the dealer as well as two hundred poker chips, two decks of cards and a felt green poker mat. Set it all up under dim lighting and get some blues music going for the best effect. Even though you and your friends mightn't be the highest of high rollers, you'll still have a blast with this set, which will definitely be a big hit at your next party. 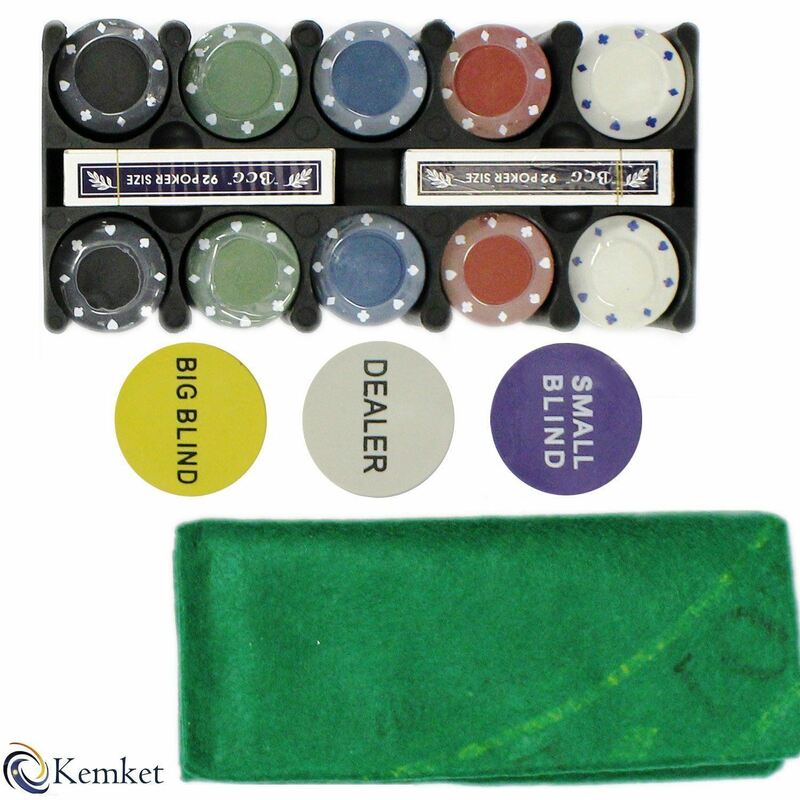 Kemket Texas Hold 'Em Poker Set features:- • Everything you need for a game of Texas Hold 'Em poker • Includes an instruction booklet for those new to the game • Presented in a gift tin Set Includes: • 200 x Professional Poker Chips • Storage Rack for Poker Chips • Green Felt Playing Surface • Dealer Button • Big Blind Button • Small Blind Button • 2 x Decks of Playing Cards---------- Acrylic Chips Set:- Acrylic Chips are known worldwide as the number 1 quality chip in Poker. 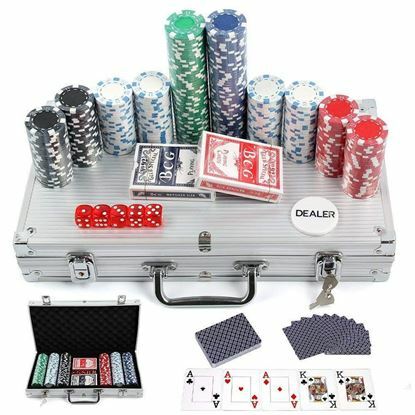 Poker Set - 300 Piece Complete With Chips Cards Dice And Casino Style Case Sit down with a with a few friends lay this luxurious set out on your table and feel like you';re playing poker in a Las Vegas casino! 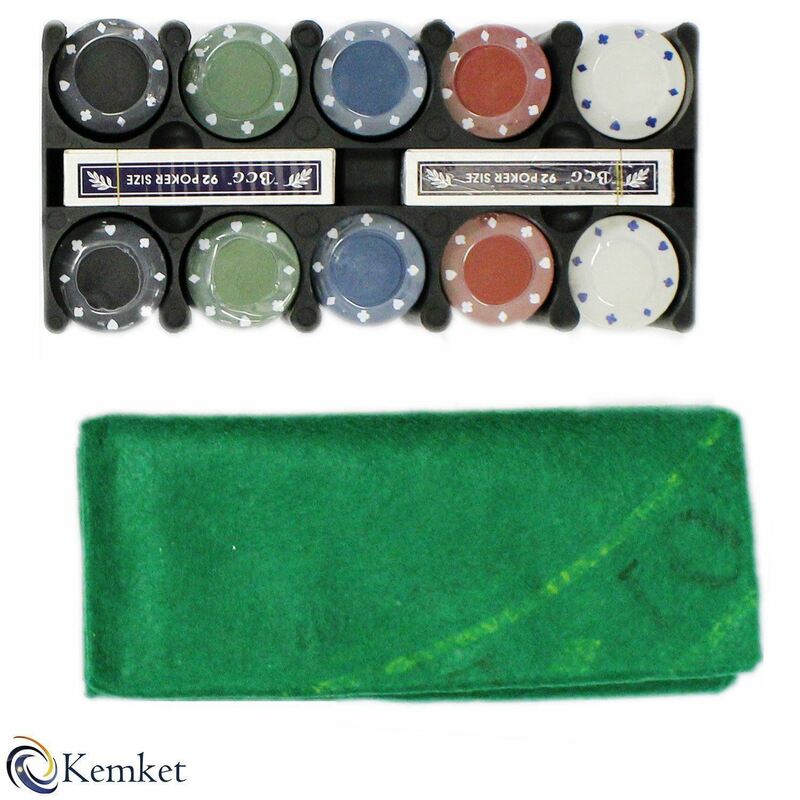 This Tournament numbered poker chips set has been specifically designed for use in home games, pub poker tournaments and amateur poker leagues. 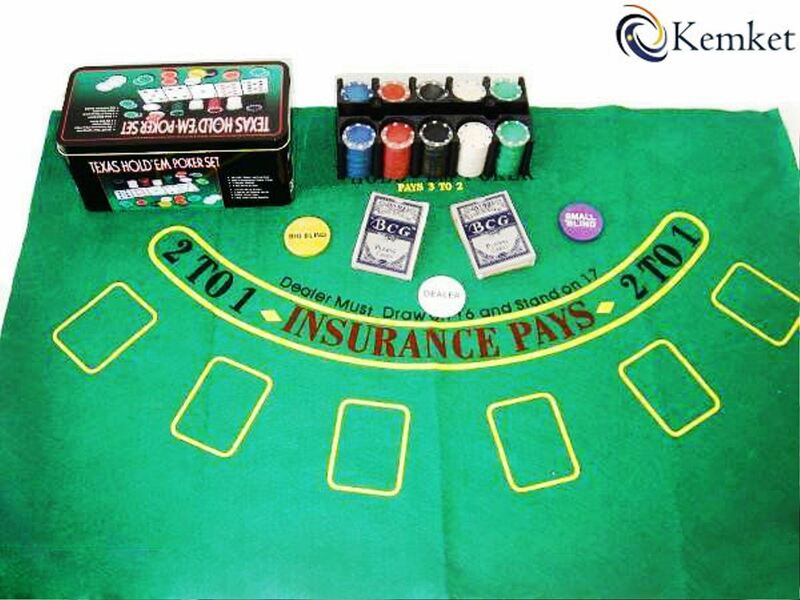 The professional poker chips included are great quality and offer unbeatable value for money. 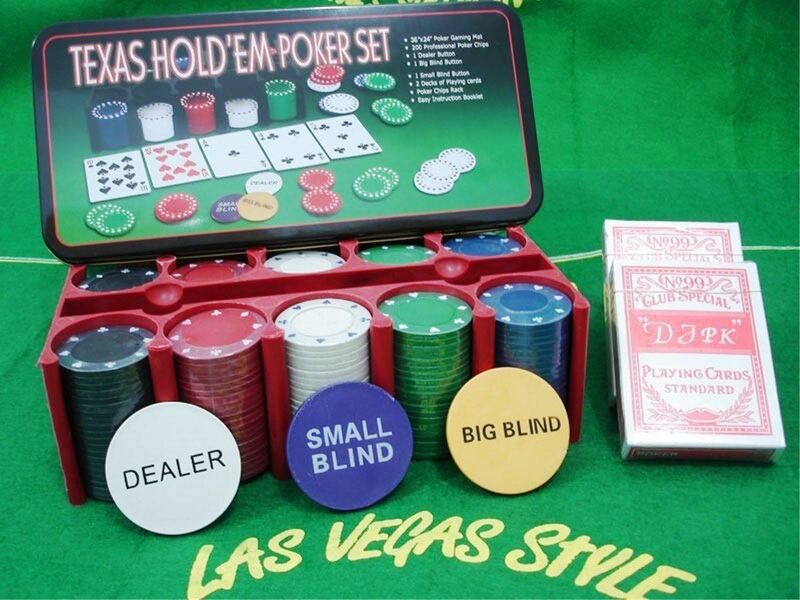 The poker chips set 300pcs, Included: 50 x White 11.5 Gram Poker Chips 100 x Red 11.5 Gram Poker Chips 50 x Blue 11.5 Gram Poker Chips 50 x Green 11.5 Gram Poker Chips 50 x Black 11.5 Gram Poker Chips, 2 complete decks of Playing Cards and a dealer button and die.